This week, the Academy of Motion Picture Arts and Sciences launched its first original web series. Every Monday, a new Academy Originals webisode will be released, exploring a range of film-related topics. 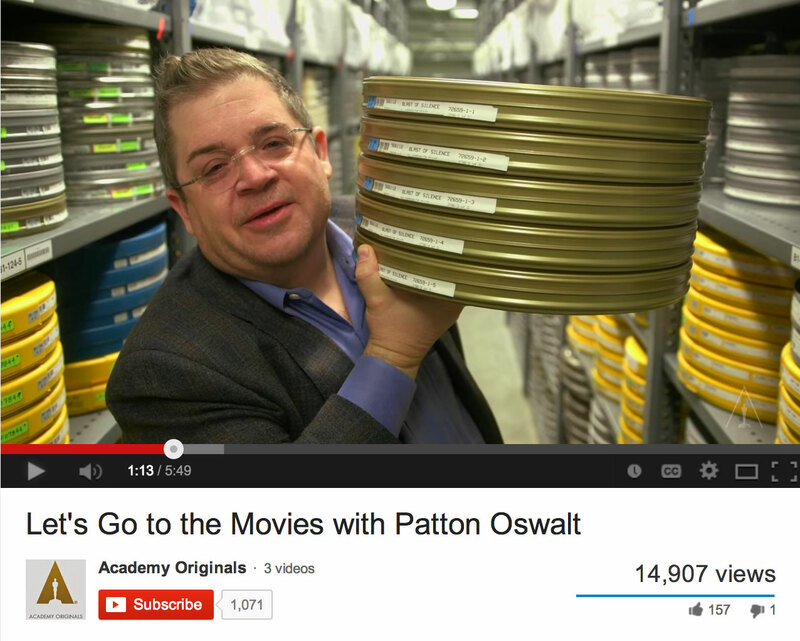 Three webisodes were part of this week’s launch, including time spent with film buff Patton Oswalt as he ventured through the Academy Archives, a look into how innovations in motion pictures allow the blind to enjoy films, and a meet with screenwriter Tina Gordon Chism as she describes her creative process. This is a must-see for any film and Academy enthusiast. Subscribe to the YouTube channel here so you don’t miss each week’s new webisode.